Hoffman Car Wash is a proud participant in the International Car Wash Association WaterSavers program. 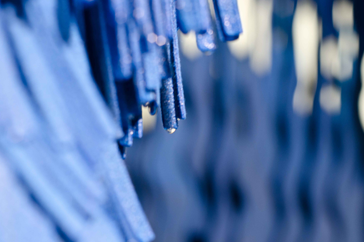 As a member of WaterSavers, all of the water we use in our car washes is routed to a reclaim tank on site and filtered before it's used again or sent into a water treatment facility. 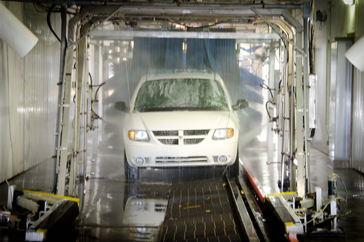 When you wash your vehicle on pavement or in your driveway, all of the run-off carries the grime and chemicals into the soil and storm drains that empty directly into rivers and the public water system. Also, we use less than 40 gallons of water for each car wash - that's less than most washing machines use in a load of laundry. Using a garden hose at home can use up to 60 gallons of water in just five minutes. Plus, we recycle and return water back into the environment cleanly. Each one of our stores has met the strict standards and criteria to be named a WaterSavers Car Wash. When you take your vehicle to be washed at any Hoffman Car Wash, know that you are doing your part for the environment and clean water. Want to know more? Visit the WaterSavers program.